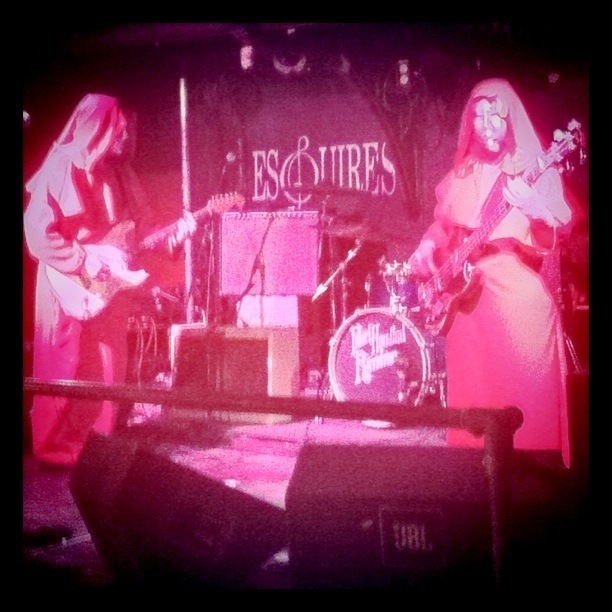 Strangest Band I’ve Seen Live in a While! Last Saturday, The Psychedelic Monks and the Electric Church of Doom were supporting my good friends Pearl Handled Revolver at Bedford Esquires. The name sums up the sound exactly, but all was overshadowed by their wonderful stage look! Check out the pic below, and a short video I took at http://www.youtube.com/stvnorman.